I set out to write about the cars I’ve had over the past 35 years, but 4000 words later, I ended up writing about the many fond memories I’ve had around car ownership and life in general. This is part 5. I’m 40 and as a treat to myself I decide to buy my first brand new car. I had been really happy with the beemer so I tootled along to my local BMW dealer intent on buying a new car there and then. What happened next put me off BMW and to this day I’ve never had another. Upon arriving at the dealership I was looking around the cars and found it difficult to attract the attention of a salesperson. When I finally found someone to talk to, I found the chap to be arrogant and snotty and disinterested. Yes I may have been wearing scruffy jeans and a T shirt and may not have looked like your stereotypical BMW owner but I didn’t expect to be dressed for a wedding to buy a car and I didn’t appreciate his arrogance. 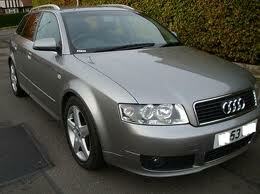 I don’t buy from people like that so I went to the dealer over the road and bought a brand new Audi A4 instead. Who knows how much this one person cost BMW as I may still be driving a BMW today if it had not been for him. 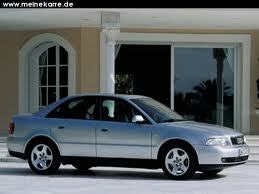 The Audi A4 was a 1.8 saloon in silver, and it was very smart. However, when I was buying it I really had a hankering for the estate, but I bottled it at the last minute on the reckoning that an estate was an old mans car. A few months later I was regretting not going for the estate following a conversation with some of my work colleagues from Germany who told me that estate cars are the first choice of the young in Germany as they are perfect for lugging around surf boards, sports gear, camping gear and what not. I lived with this regret for 3 years until I finally replaced the A4 saloon with an A4 Avant (sounds much better than estate). It was a spanking new 2.4 V6 Sport Model in dolphin gray and it was absolutely fantastic. The only issue I had during 3 years of ownership was when I cracked the front windscreen carrying a piece of decking back from B&Q. It was just too long to fit into the car with one end against the front window and the other end against the back window, so I had to bow it slightly. This worked until I drove into our street and the first speed bump I went over sent a crack right across the windscreen. I phoned up my insurance and a chap came and put me in a new one. He had to complete the paperwork and ask me how it happened for insurance purposes and being an honest soul I felt obliged to tell him my embarrassing story. He replied with “the insurance won’t cover that so lets call it a stone chip shall we”… there are some nice people in the world after all. Mid life crisis is biting hard and I’m thinking what would I like to own that I’d not had before. I decided I needed a 4×4 and I started to look at what options were available. I’ll probably upset a few people by saying this but I really don’t like Range Rovers, too old fashioned and country gentleman for my tastes and I ruled them out early on. 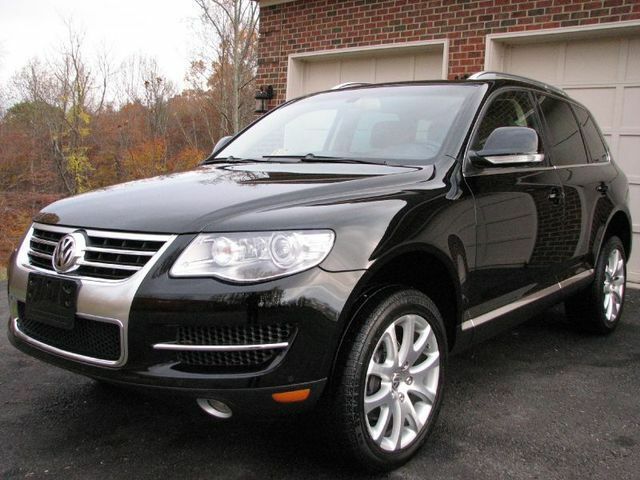 I ended up buying another German machine a VW Touareg 3.0 TDI SE in pearlescent black. I say German but I later found out that these are made in Bratislava at the Skoda factory. That aside it was an excellent piece of machinery. I had the good fortune to go on an off road and racing circuit driving experience and the car was phenomenal. Being a speed junkie I was really looking forward to the track experience, but I came back having enjoyed the off road experience better. For such a big car it was fantastic on the track, which may be down to the fact it shared its heritage, technology and chassis design with the Porsche Cayenne, but off road it was unstoppable, the terrain we covered and the hills it got up and down were simply unbelievable. The car defied the laws of physics, and gravity in some cases, and to this day I still can’t believe how it did this. The Touareg would pull anything and I still think it holds the world record for the heaviest weight towed in the shape of a Jumbo Jet. I kept the Touareg for 3 years and despite being heavy on fuel at 24MPG, it never ever let me down. I have to admit thought that it didn’t solve the mid life crisis and I decided I also needed and open top sports car. I used to live next to a guy who owned an MGB and another guy who owned and Triumph TR6. I’d always wanted one but could never rationalise owning one for the 4 sunny days we get each year up north. I started searching for something interesting with the idea that I’d get the tools out again, get my hands dirty and treat it as a hobby.